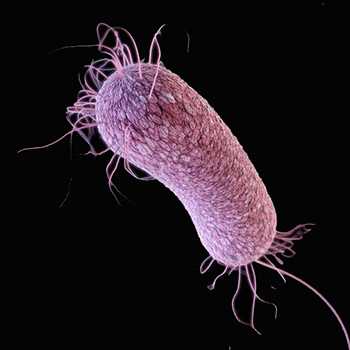 The numbers of multiple drug-resistant Gram-negative bacterial infections are rising worldwide. The threat is increased by the lack of new antibiotics, so clinicians are turning to older drugs previously abandoned due to their recognized toxicity, such as colistin. However, the need to avoid kidney toxicity from colistin has led to its topical use. We present the case of a patient with type I cardiorenal syndrome with cystitis due to multiple drug-resistant Pseudomonas aeruginosa who was successfully treated with intravesical instillation of colistin. Ruiz-Garbajosa P, Cantón R. Epidemiology of antibiotic resistance in Pseudomonas aeruginosa. Implications for empiric and definitive therapy. Rev Esp Quimioter 2017;30(Suppl 1):8–12. Kollef M, Chastre J, Fagon J, François B, Niederman M, Rello J, et al. Global prospective epidemiologic and surveillance study of ventilator-associated pneumonia due to Pseudomonas aeruginosa. Crit Care Med 2014;42:2178–2187. Cillóniz C, Gabarrús A, Ferrer M, Puig de la Bellacasa J, Rinaudo M, Mensa J, et al. Community-acquired pneumonia due to multidrug- and non-multidrug-resistant Pseudomonas aeruginosa. Chest 2016;150:415–425. Grégoire N, Aranzana-Climent V, Magréault S, Marchand S, Couet W. Clinical pharmacokinetics and pharmacodynamics of colistin. Clin Pharmacokinet 2017;56:1441–1460. Giua R, Pedone C, Cortese L, Antonelli Incalzi R. Colistin bladder instillation, an alternative way of treating multi-resistant Acinetobacter urinary tract infection: a case series and review of literature. Infection 2014;42:199–202. Pietropaolo A, Jones P, Moors M, Birch B, Somani BK. Use and effectiveness of antimicrobial intravesical treatment for prophylaxis and treatment of recurrent urinary tract infections (UTIs): a systematic review. Curr Urol Rep 2018;19:78. Garcés-Jimeno B, Tomasa-Irriguible TM, Moreno-Molina JA. Intravesical instillations of colistin in urine infections with multiresistant pathogens. Med Intensiva 2014:39:125–126.